I wasn't familiar with Mr. Bellaris's work, and I enjoyed this short story very much. It tells the story of three brothers, Michael, David and Fonsy, who one summer find an old gargoyle in a nearby dump. 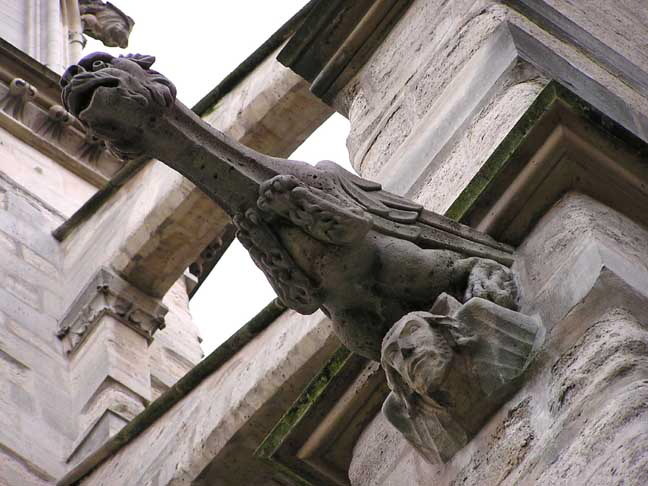 The gargoyle happens to be magic, and starts talking to them. The kids decide to bring it home, where a few adventures take place. 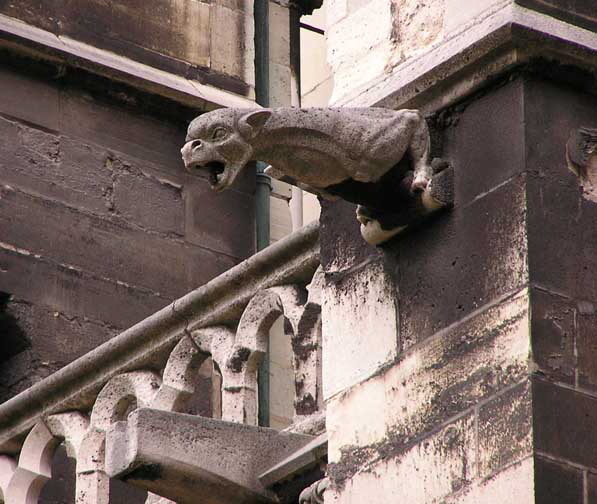 The most interesting part is when the gargoyle dreams about the things it has seen, and the kids are able to see the images of when the gargoyle was ripped out from the St. Denis Basilica in Paris during the French Revolution, at the same time that the bodies of many monarchs were removed from the crypt too. Only a few pages but totally enjoyable. Basilica of Saint Denis gargoyles. Images source.